<br>Robert Luff & Co are delighted to offer to market this well presented semi-detached bungalow ideally situated in this quiet close, East of the town with local shops, the beach, schools, bus routes and the mainline station all nearby. Accommodation offers entrance hall, bay fronted living room, kitchen diner, two double bedrooms, and refitted shower room. Other benefits include sun room and impressive South facing rear garden. Door to front, telephone point, loft access, two radiators, airing cupboard housing combi boiler. Double glazed bay window to front, radiator, TV point, fireplace with electric fire. Fitted kitchen with wall and base units, double glazed window to side and two double glazed windows to rear, door to sun room, sink and drainer, plumbing for washing machine, integrated gas hob, integrated electric oven, tiled splash back, two radiators. 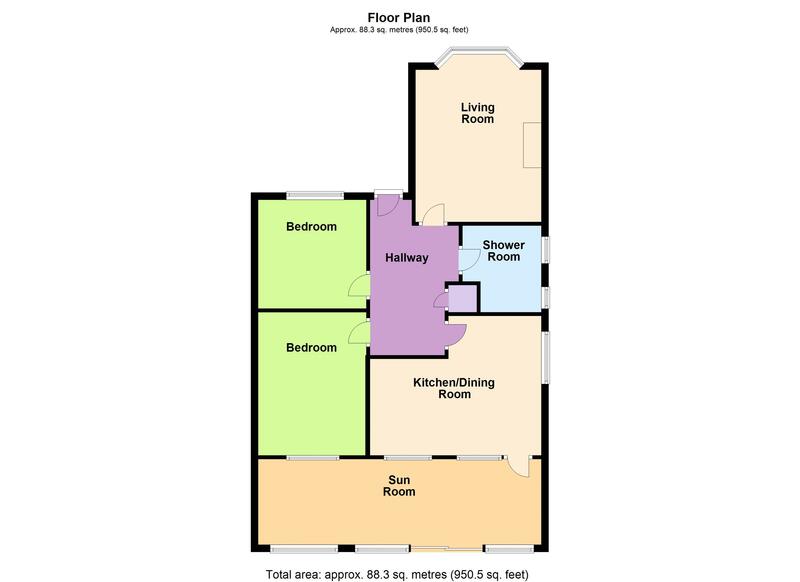 Two double glazed windows to side, single pedestal wash hand basin, low level w/c, shower cubicle, floor to ceiling tiled walls, tiled flooring, chrome heated towel rail. Double glazed window to front, radiator, telephone point. Brick built with wood paneling internally, wood and UPVC roof, three windows to rear and one window to side, double glazed sliding doors to rear, power and light, two radiators. Gated side access, wall and fence panel enclosed, mainly laid to lawn and patio area, greenhouse, large storage shed.